March | 2011 | Bitters Co. The 2011 Northwest Flower and Garden Show was a hit. It started with snow and finished with sunshine, literally. The energy was fun and it was great to see familiar faces. 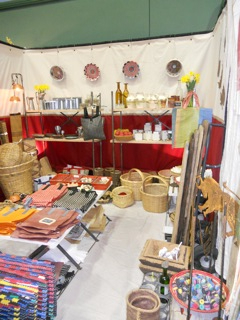 Popular items were: Abaca Totes, Flip Flop Doormats, Cork Planters, Recycled Glass Cloches and Slumped Glass Butterflies. We look forward to returning next year – it is a great way to bring spring to February.